*BREAKING NEWS* – Our NEW JCB Contractor Breakers Range is out now! We are very excited to introduce our new range of JCB Contractor Breakers which JCB launched at the end of April. In total, there are 13 models which have between a 0.5 and 60 tonne carrier weight compatibility. 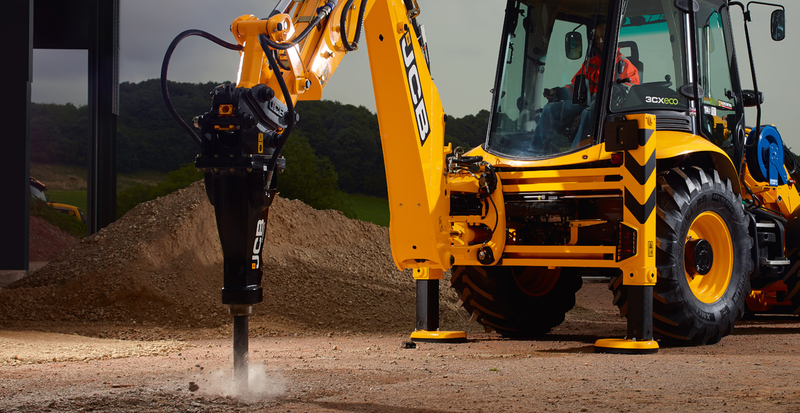 As well as working efficiently with our own JCB machines, our new contractor breakers are universal and are therefore able to be fitted onto other brands of excavators and breaker carriers. • One simple scaled design for consistent servicing across the range. Less time would therefore be spent on training your service engineers if they are operating a mixed fleet. • The JCB machine and breaker is fully approved and compliant with the Machinery Directive and CE marked as appropriate. • 3 years’ JCB warranty is available with the breaker as standard. • Refillable auto greasing system to ensure correct lubrication and improved serviceability on the HM080T and above. • Auto stop feature on HM080T and above to reduce blank firing and protect unnecessary wear and damage to the breaker from an inexperienced operator. • Stroke adjusters on HM0541 models and above allow the operator to adjust tool speed and stroke length for increased productivity and reduced risk of damage to breaker or carrier. • Accumulators on the HM026T and above protect the carrier machine from hydraulic pressure spikes which reduces wear and tear on the machine hydraulics. • Internal control valves deliver higher efficiency and are least vulnerable compared with competitive products that feature external valves. To download the new Contractor Breakers Range brochure, click here or on the picture of the brochure below. 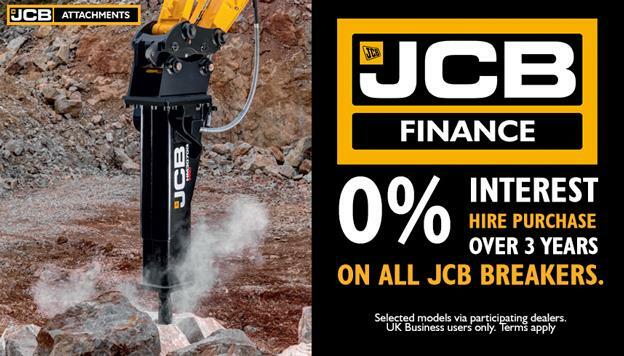 One of our current offers is: 0% interest hire purchase over 3 years on all JCB breakers. To find the product number for the size of JCB Contractor Breaker that you require, you can log onto your DealDesk account. 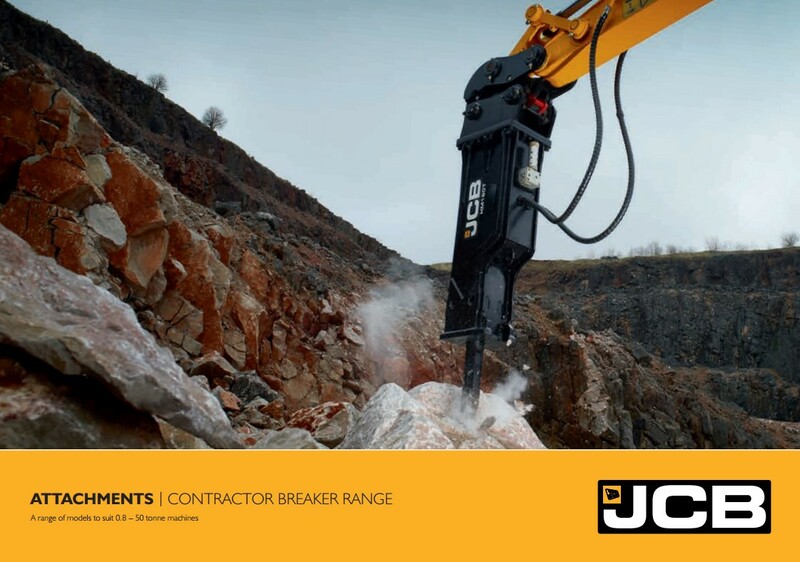 For more information or to order your JCB Contractor Breaker, call us on 0161 941 2631 or email us at enquiries@gunn-jcb.co.uk.